When going away on holiday, as a tortoise pet owner, you have four choices in regards to tortoise care: boarding, friend or family pet sitting, a professional pet sitter, or leaving your tort alone for a few days. We look into the pros and cons of each one to help you decide what will work best for you. In this article: Should you board your tortoise while on holiday? 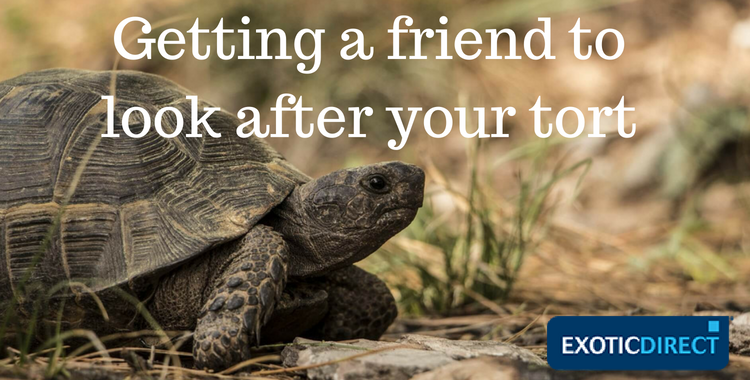 | Getting a friend or a relative to look after your tortoise alone | Hiring a professional sitter | Leaving your tortoise home alone | What about leaving your tortoise at a pet shop or your vets? Should you board your tortoise while on holiday? A lot of small pet boarding services take tortoises, but it is important that you check they do before you make your way there with your tort. A simple internet search could show you all the pet boarding facilities in your area. From there, all you have to do is look at their websites to learn more and ensure they can house tortoises. Specialist tortoise boarding facilities are also available, usually run by one or two tortoise experts who are passionate about tortoises, but there aren’t as many around. We found one in Hertfordshire called Tortoise BnB and one in Leicester called Tortoises R Us. 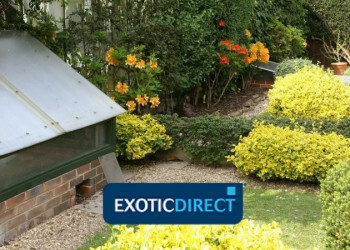 If there isn’t a specialist tortoise boarding facility near you, boarding services which focus on exotic animals or just reptiles might be easier to find. Always check to make sure that they do take tortoises. The RSPCA offers boarding for reptiles. How much boarding your tortoise will cost, depends primarily on where in the UK you are. We found prices from around £2.50 to £7 a day. Some places will require you to bring in your own food, others will simply give you the option to do so. Many pet tortoise owners are weary of having an inexperienced friend or family member look after their tort while they’re away, however it is one of the cheaper options. Unlike professional tort sitters, friends and relatives are unlikely to request a high fee for their services and you can keep in touch more often. The main worry expressed by tort owners on forums is that taking care of a tortoise can be complicated if you’ve never done it before. 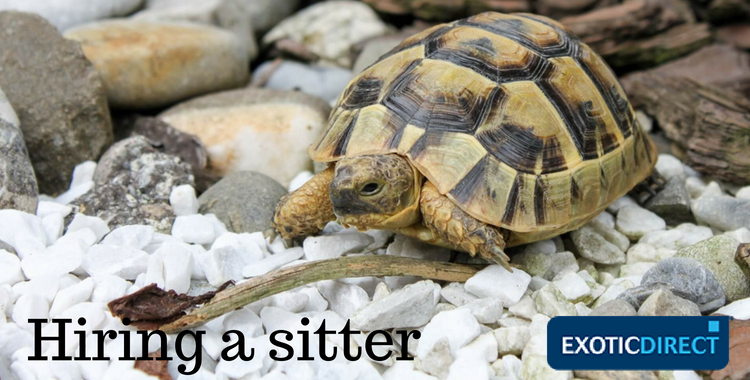 A good way to ensure nothing goes wrong is to give your volunteer sitter comprehensive guidance about tortoise care, everything from food to heating and even bathing. If there is a particular aspect of tortoise care that you are worried could go easily wrong and is not essential for their well-being, that is, it is something your tort can go without for a few days, perhaps tell your friend to forgo it in your absence. You could also prepare your tort’s daily doses of food in advance; so all your amateur sitter will need to do is take them out and put them in your tort’s feeder. For extra peace of mind, you could try to anticipate every possible disaster scenario and tell your friend how to handle if it does occur. 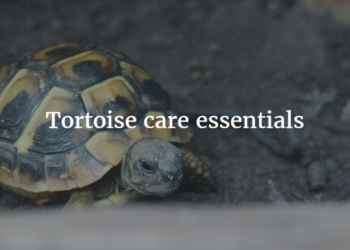 Always leave a few emergency contacts, eg vet or tortoise expert, for them to refer to in need. Make sure they know where your tortoise care essentials are so they’re easy to locate. The greatest benefit of hiring a professional sitter is competence. There is little doubt that an experienced professional sitter will be able to give your tortoise the most competent care. Sadly, professional reptile sitters can be pricey. We found prices between £13 per visit up to £80 a day. Some sitters will be available to sit your house and your pet. Some sitters charge per visit and based on what care they’ve provided your pet with. For example, pawsgalorepetsitters.com charges £13 for a 20-minute visit and £17 for a 45-minute visit that includes cleaning an enclosure. Factors such as your tort’s breed, where you are, what the climate is and what season it is will have an effect on what option you go for. 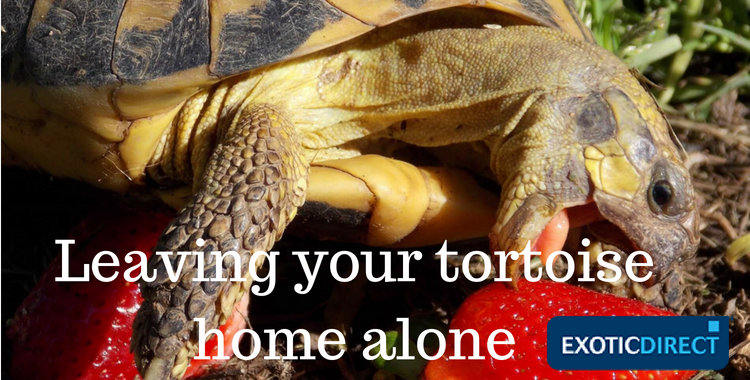 In our research, we came across some tortoise owners who were confident to leave their tort alone for four days, given it had enough food to last it till they’re back and that the temperature in the habitat didn’t require any manual adjustment. There were however, a lot of owners that said they'd never leave their torts alone and would be terrified of doing so. We found that a lot of Russian tortoise owners who lived in cooler places would confidently leave their tort alone for a few days. If this is the option that appeals to you the most, make sure your tort has enough food for the time you’ll be gone and has lights and heating on a set timer so that it doesn’t overheat or get too cold. The problem with this is that you might experience a great deal of anxiety thinking about all the things that could go wrong. "I would never leave a tortoise on its own for four to five days. I would be petrified that it would somehow flip over and there'd be noone there to turn it over - in four or five days time you would come home to a very dead Tortoise! There is also a potential fire hazard here as with anything electrical. I have also seen a case where the basking lamp has slipped down from where it was suspended and sat on the soil in the table, and scorched it so much it started to smoke. There's also the fact that a tort left on its own for four to five days will have no fresh water or food for that time. When I go on holiday I have to get a house sitter. 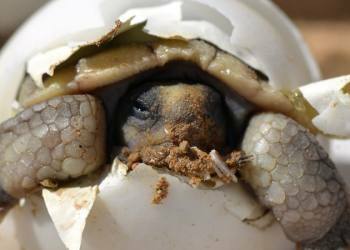 The owners of the hatchlings that I have sold, either get family members or trusted friends to call in twice a day or they bring their torts back to me and I holiday sit for them." Suzi is a Hermann tortoise expert and breeder. See her website to get in touch, learn more about what she does or read expert tortoise care advice. She's also a member of the Tortoise Protection group and is listed as a trusted breeder on their website. A lot of tort owners feel the same as Suzi, but there are also those who seem to leave their torts alone for four to five days without any issues occurring. Some even say they feel calmer about doing this over having a tortoise-illiterate friend or relative look after their tort, too afraid bad care could often be worse than no care. You can join Ed's tortoise keepers group here. If you went for this option, you'd have to prepare properly. Owners describe various ways in which they prepare before going away, leaving the tort to its own devices. Some overfeed for two days before departing, others over-soak to help prevent dehydration in the days to come. The one real upside to this option is that it’s free and that your tortoise is unlikely to be injured by a well-meaning but inexperienced friend or relative. Installing a camera or two around your tort’s enclosure to allow you to monitor it 24/7 might make this experience a little bit less stressful and a lot more bearable. At least that way you can alert someone you know to go over to your place and take care of your tortoise if something goes wrong. 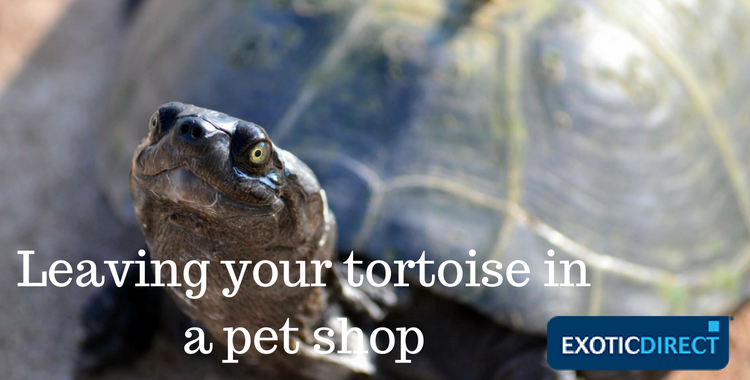 What about leaving your tortoise at a pet shop or at your vets? Even though a pet shop might be able to house your tortoise while you’re away, it will most likely refuse to take responsibility if anything goes wrong. This is because housing pet owners’ pets is not part of a traditional pet shop’s business activities, and they are unlikely to have insurance to cover any issues that arise with your pet or to pay for legal expenses if a pet owner sues. Another aspect to be aware of, a concern expressed by many tortoise owners, is that tortoises often look alike so much it’s quite difficult to tell them apart; especially if they are the same breed and size. Tort owners in forums are worried this could potentially result in their tortoise being swapped with another one by mistake. This problem can be overcome by taking photograph's of your tortoise's unique markings, so that you know exactly what makes your tortoise different. You could also have it microchipped. You would of course need to ensure the pet shop knows exactly what markings differentiate your tortoise. Check out our article that covers tortoise identification methods. All pet shops are different, however, and if you’re considering this option, it’s best to personally check your candidate shops and speak to the keepers. One upside of this option is that housing your tort in a pet shop is likely to cost a lot less than a specialist boarding facility. And compared to having a tortoise-illiterate friend or relative look after your tortoise, in a pet shop, it will get experienced pet carers. Some pet shops, like The Tortoise Shop in Yorkshire may even offer boarding facilities for Exotic Pets as part of their usual services. Tortoises require a lot of care and an experienced hand to deliver it. If you’re trying to decide who you’ll entrust with caring for your tortoise in your absence, for your own peace of mind, explore your options in-depth before you commit. Visit that boarding facility, speak to that professional sitter at length about their past experiences, seek referees and testimonials of their services. Brief your friend or relative who’s agreed to look after your tort while you’re away, and ensure they’ve understood how to perform the care tasks you’ve entrusted them with.